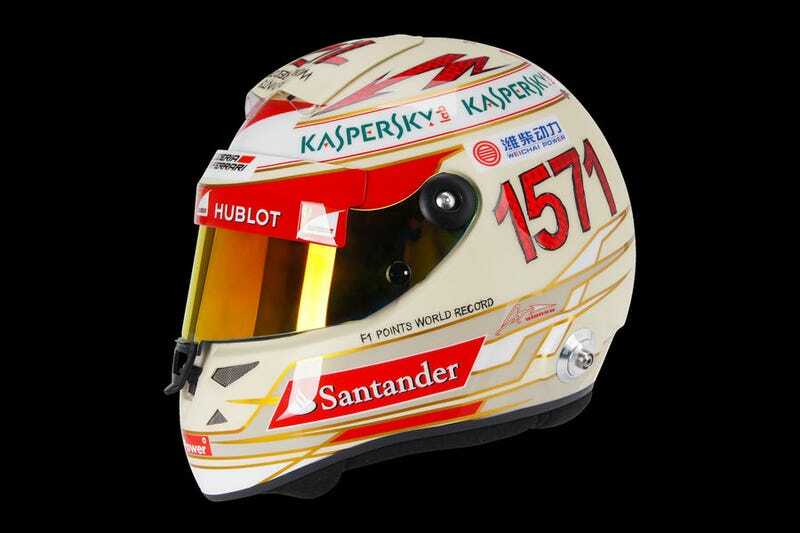 Fernando Alonso's new helmet for the Indian GP is covered with the number 1571 and several discreet hints at a "F1 Points World Record". Besides the fact that such a thing doesn't officially exist, he is giving us a discreet hint that he now has scored more championship points than Schumacher. While this is a fact that can't be denied, it's also true that the point system has been changed since the times of Schumachers big successes. So they are basically comparing apples to pears. Well, it's not like he has much else to celebrate these days, so let's give him this little victory if it cheers him up.